how do we write "good" poetry? 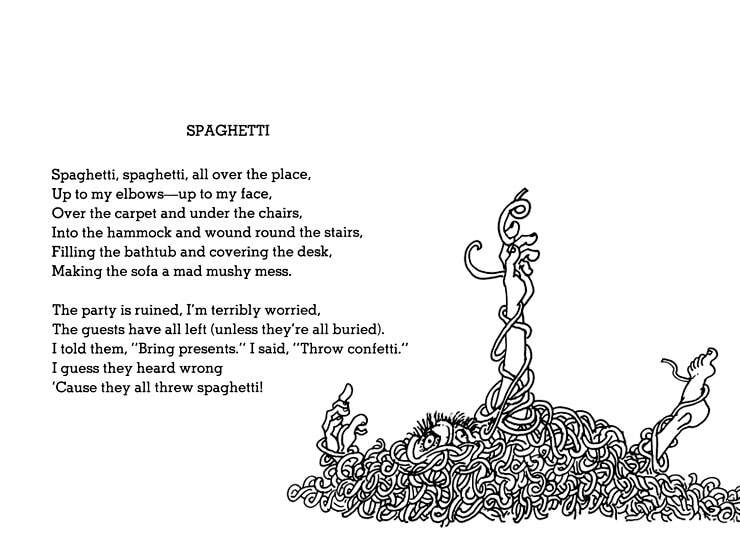 Everyone knows Shel Silverstein... but have you ever considered the brilliance of his technique? Well, after this week, you can say you have! 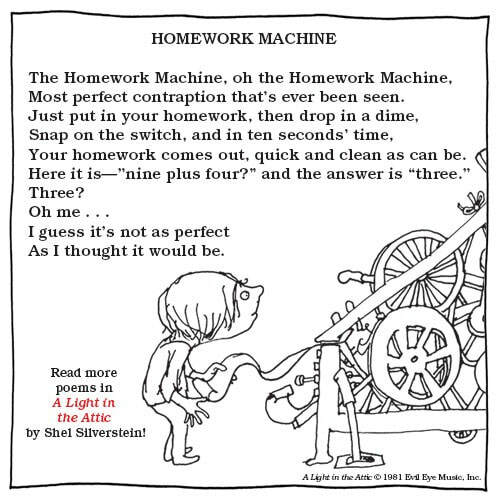 We'll use Shel Silverstein as our master poet this week - study his forms and test out a few for ourselves. 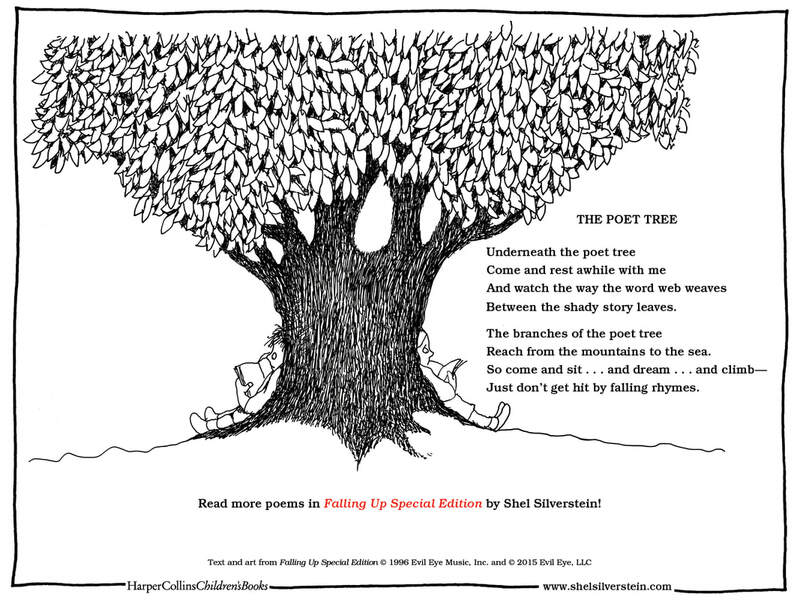 Practice: Find your own Shel Silverstein poem in one of his books that has a distinct rhythm and rhyme scheme. Photocopy the page, then mark out the syllables and rhyme scheme. 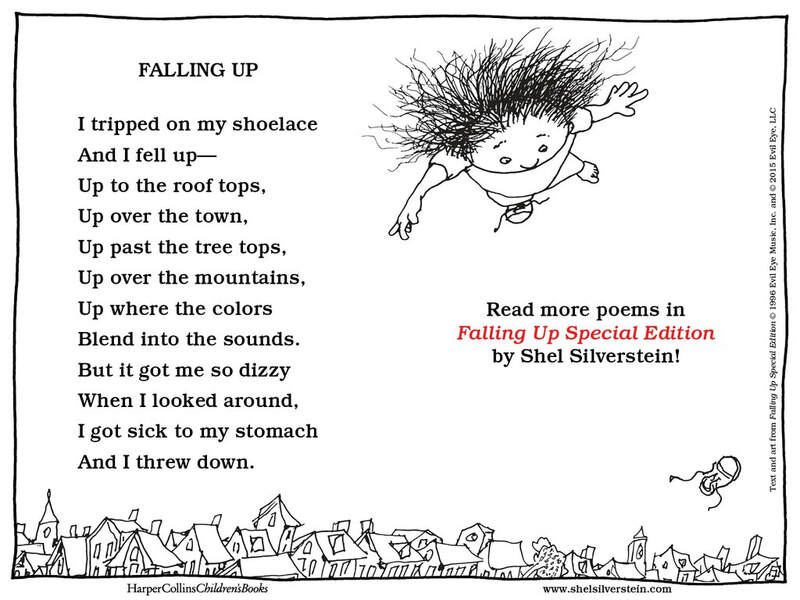 Discuss poems - what is the impact of the structure rhyme and rhythm provides? does Silverstein ever break his own patterns? 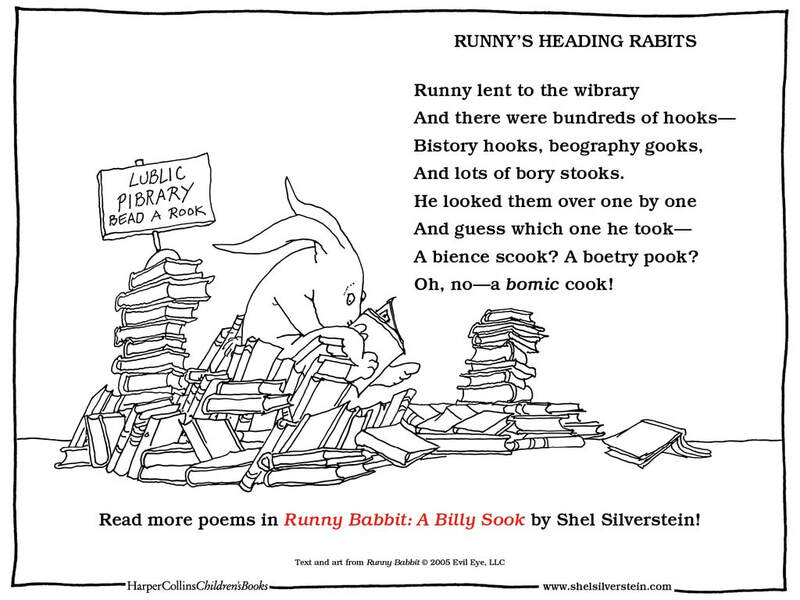 Create: Write your own poem with a purposeful rhyme scheme and rhythm. Reflect: Share poems and discuss - does this type of structure open you up as a poet or close you off? what was the experience like?